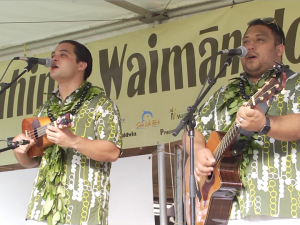 This episode features performances by Kunia Galdeira & Sean Robbins, Hālau Hula ka Lehua Tuahine and Pineapple Jam. 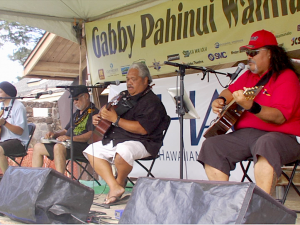 The Gabby Pahinui Waimānalo Kanikapila is an annual festival that gathers hundreds of Hawaiʻiʻs most talented musicians to honor the legacy of slack key legend Gabby Pahinui. 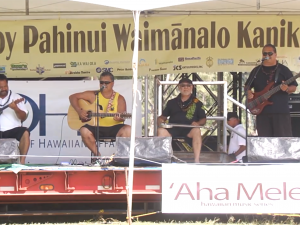 ʻŌiwi TV reaches across generations, socio-economic statuses, and geographic locations as the sole media venue where the Hawaiian language, culture and perspective thrive. Through Digital Channel 326, ʻŌiwi TV reaches over 220,000 households across the entire State via Oceanic Time Warner Cable’s network. Through its website, mobile, and social media venues, ʻŌiwi TV is reaching Hawaiians everywhere and engaging a generation of Hawaiians that expect to access anything and everything from anywhere at anytime. 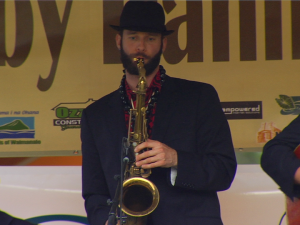 Ron Loo is a great Professor of music at Windward Community College. Gabby was around back then, with his backup Joe Kupahu, both with the City and County. ʻŌiwi TV produces top-quality documentaries, news and multimedia content from a uniquely Hawaiian perspective. The wisdom, beauty and power of Hawai‘i are the backdrop to the most important and interesting narratives of our generation. Founded by Nāʻālehu Anthony, Keoni Lee, and Amy Kalili, this next generation of Native Hawaiian storytellers aim to tell the stories of our land and our people. The stories we tell—from the clients we work with to the questions we ask—are shaped by our aspiration to revitalize and affirm a positive native Hawaiian world view. We work to create a new narrative of the modern Hawaiian experience. Nā Moʻolelo Lecture Series – Dr. Ronald Williams Jr.